Great customer service is essential when it comes to building an excellent reputation for your business. According to customer service speaker Shep Hyken, 78% of consumers have decided not to go through with a purchase because of poor customer service. It’s long been known that treating your customer right is the best way to keep that customer for life. But how does this translate into social media? Here are some tips to customer service success! Customers use social media as a way to reach out to you – you must respond! You would never let an email or phone call go unanswered for days if a customer had a question, be sure not to let their posts or messages go unanswered either. Log on to social media daily to see if you have any new messages, comments and posts to your page. It only takes a few minutes, and it can keep you from missing a customer’s question (or even some positive feedback). If you don’t mind getting emails, you can also change your settings to get an email every time someone interacts with your page. Just in case a customer would have a time-sensitive question, it is smart to leave them with your store’s phone number and email address so they have alternative ways to contact you. Speak to customers the same as if you were standing with them face-to-face. Unless you talk like a robot in real life, be sure your posts are friendly and conversational. Your online presence should be a reflection of your offline values. Your social interactions shouldn’t be limited to only online, either. Use social media as a way to invite customers to visit you in your store. Knowing that you want to engage in person can be highly meaningful to your customers. The best way to have a great conversation online with your customers is to keep them in the loop with things happening with your store, in your community and more. 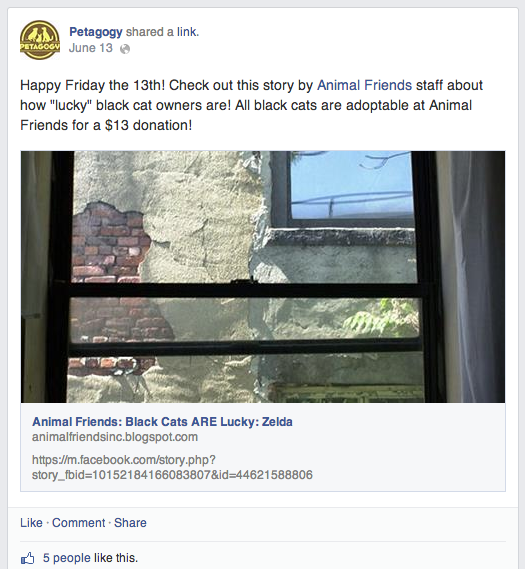 Sharing other local business’s content is a great way to build community and customer loyalty, too. Check out our 60/30/10 Posting Rule to increase engagement with the right combination of content. If you’re going to be out of town and away from social media, make sure you have someone reliable to refer urgent customer service needs to. Post on social media in advance that you’ll be away during a certain time frame. Also, in advance, introduce your employee who will be taking care of your customer service needs for you. This is not always feasible for certain businesses, but it is a great thing to plan for. Having a substitute for customer service will show your customers you care and help to eliminate any customer frustration. Back up plans also add value to your business as another service you offer your customers. Since “the customer is always right,” be prepared to deal with unsatisfied customers. Even if you don’t agree with them, it is your duty to make the situation right. Be prepared to offer a solution in order to retain their business. Social media doesn’t take customer service out of the picture. On the contrary, it gives you another medium to build a relationship with your customers. It has become one of the most popular ways for customers to ask questions or address concerns. So use these tips to take your customer service skills to the social media level!